Bought this eyeliner for my mum after she tried mine and this was the first eyeliner that didn’t fade during the day, so very pleased. Application is quick and easy and it stays on all day. I love this eyeliner! 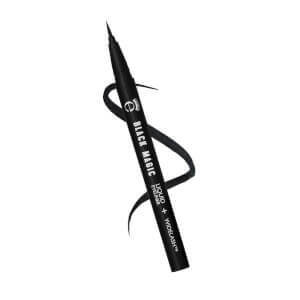 It has an easy to use applicator and is the perfect thickness for creating a cat eye look. It lasts all day and never smudges. It is my go-to eyeliner for sure! This eyeliner is really good. The thin pen makes it super easy to apply. It does smudge a little as the day goes on though. But still gives a great look. I will be honest, I am appalling at putting on eyeliner. That was until I found this little beauty of a product. 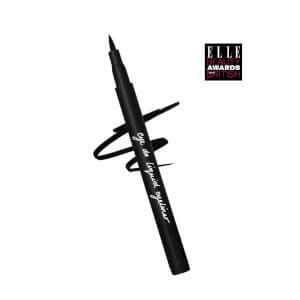 It is amazing, it is the perfect eyeliner, it glides on, it is jet black, and stays put. Honestly, for any cost, you won't find better. I absolutely love this eyeliner! I found the liquid liners in the 90s impossible to use without ending up with a giant glob of liner IN my eye rather than on it. 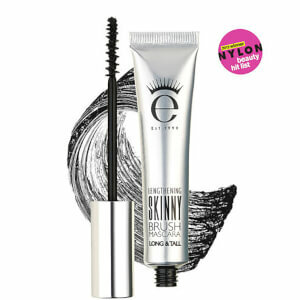 I used to love Kat Von D until I received Eyeko Skinny in my Ipsy box. The sponge comes to a precise fine pint and doesn't wiggle like Kat Von D. Skinny's applicator stays in place for easy skinny or thick liner application. Thank you for this fantastic liner!! I would give this product a 10 out of 5 star rating. 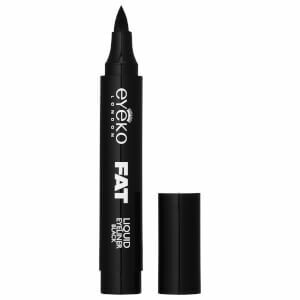 This is hands down the best eyeliner I have very used. Glides on perfectly, smooth lines, lasts forever. I recommend this to anyone, simple to use with perfect results every time.